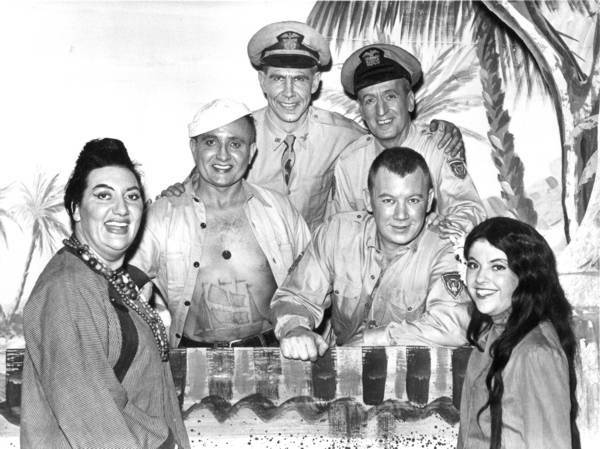 But Alec had even bigger plans and in 1952 ETCEA presented both its first major musical, A Country Girl and its first straight play, Full House. The scale of the productions had now outgrown the resources of the college students alone and so ETCEA became an Evening Class, allowing its membership to expand to include anyone who had a genuine interest in the performing arts. Annie Get Your Gun (1960) and the distinctive Enfield College Theatre stage. Throughout this period, and for many years to follow, ETCEA enjoyed the wholehearted support and encouragement of the Principal and Governors of the Enfield College. However, it ran its own affairs and, as now, was financed entirely out of the sale of tickets. 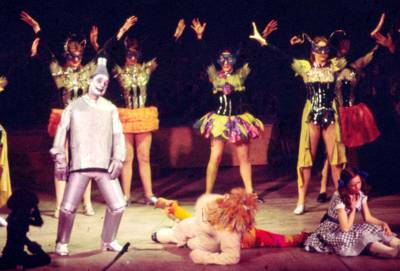 The high standard of Alec’s productions provided an excellent breeding ground for local talent and many members went on to success in the professional theatre. 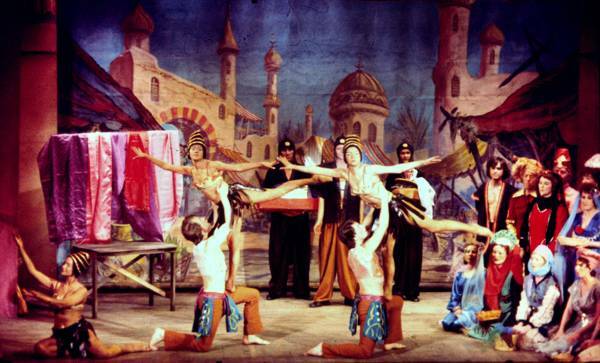 1977 was ETCEA’s year of KISMET – the Arabian word for Fate, and our chosen musical to be presented during the College Easter holiday. This was a time of student agitation at many colleges throughout the country. Rehearsals for Kismet were frequently disrupted by students conducting a campaign of sit-ins. Just before Easter, the police finally evicted the students and the Polytechnic authorities ordered that the College be closed throughout the holiday. As a result, a number of our scheduled performances of Kismet had to be cancelled at the last moment. The future for ETCEA looked bleak indeed. Ill health had forced Alec Stretch into retirement. Our position at the College looked increasingly uncertain as we no longer had the support of the College authorities, and there was no other venue in Enfield suitable for the scale of our productions.